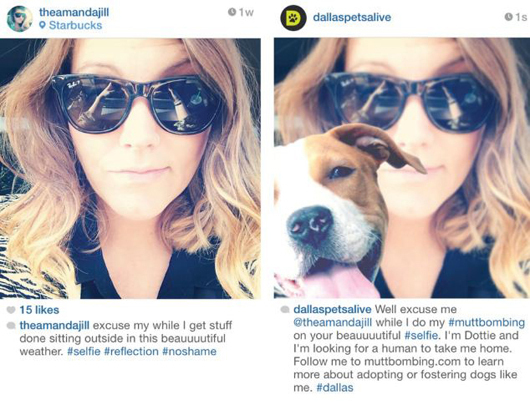 Dallas Pets Alive! 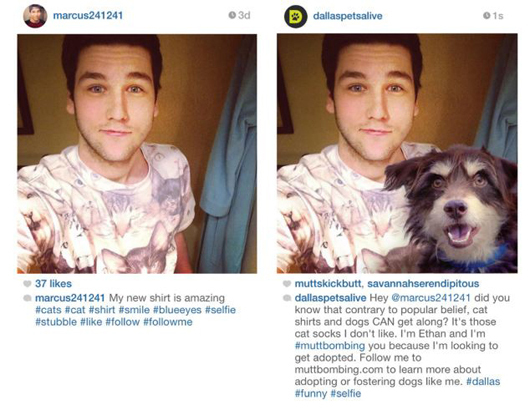 (DPA) launched a super-cute campaign in which they have coined the notion of #muttbombing. 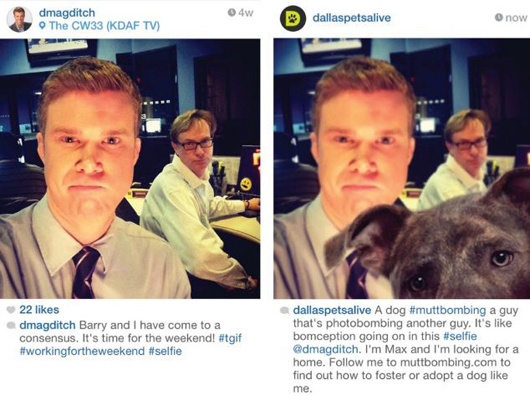 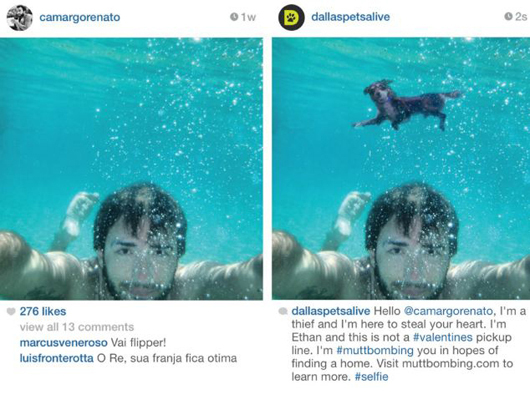 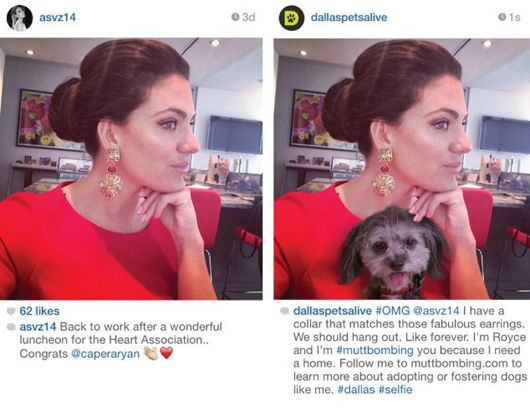 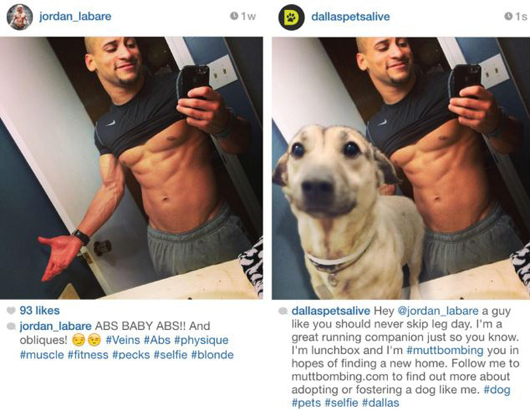 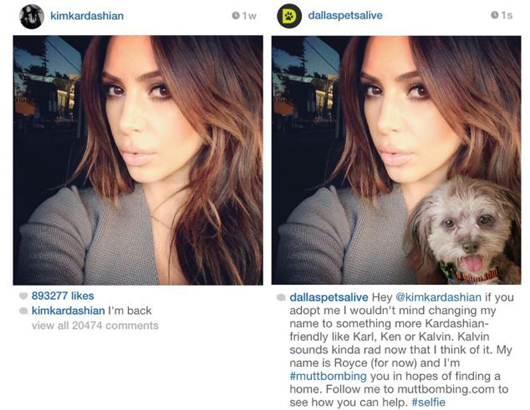 Top and bottom of the idea was that the DPA featured real dogs (available for adoption) “photobombing” publicly available Instagram photos of residents and celebrities. 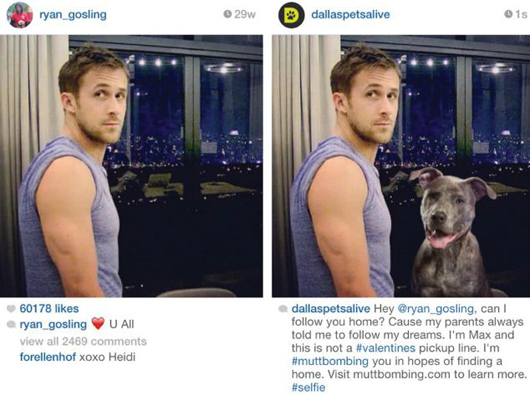 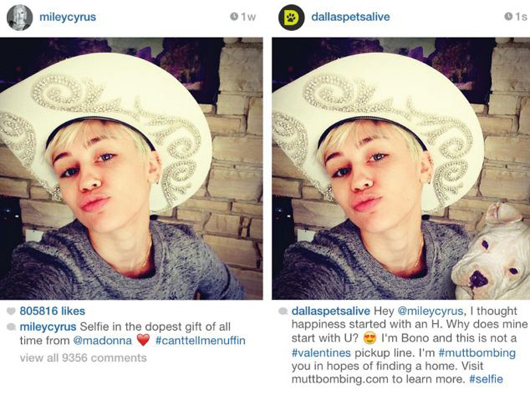 It’s captured the imagination with the celebrities’ that got the #muttbombing treatment sharing the campaign and the world’s media loving the pictures that were the result of the campaign.